Adelaide is often described as Australia’s most liveable city. It has graduated from a quiet country town to an upbeat city. Locals used to know it as the city of churches, now it’s filled with restaurants, bars, cafes and parks. The art and music scene is a big part of the city, and there are lots of exciting events held throughout the year. Adelaide is also within reach of beaches, parkland and the stunning Adelaide Hills. 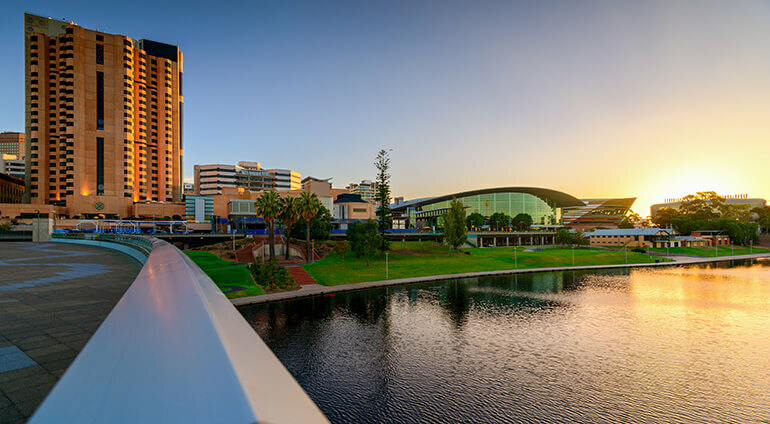 It’s quite a spectacular transformation, Adelaide used to be dismissed as a sleepy city and now it’s one of the best places to visit in Australia. There’s never a dull moment in this magical city, its multicultural scene makes it all the more vibrant and fascinating. There are also plenty of historical and cultural sites to uncover if you enjoy a spot of sightseeing. Don't miss out on the chance to visit one of Australia's most up and coming holiday destinations.